How many people does it take to database a population of 1.2 billion? About 300. That is the number in the UIDAI. “Everything is outsourced, they don’t work for us,” Mr Nilekani said in talk at the Centre for Global Development earlier this year. “They” are over 100,000 people who include Registrars, enrollers, introducers, verifiers, and Authorised User Agencies. Then there is the postal system which is to deliver the UID letter; the companies that “de-duplicate” and generate numbers; and local agencies and NGOs who participate in various stages of the project; and will in time include those in the proposed Permanent Enrolment Centres, but these are not within the 100,000 to whom Mr Nilekani refers. They form the “ecosystem” that does the work for the UIDAI. The figures vary with a slightness that is forgivable, but they run something like this: “50 Registrars, 75 enrolling agencies, 30,000 enrolling stations, 50,000 operators”, and 300 people running the project. The UID is a “start-up”, through the scalable mode of “outsourcing”. May be all this should be impressive. Except for some disquieting facts. On 9 May 2012, the Minister of Planning responded to a question raised by Ananth Kumar, MP, about “fraud uncovered in UID schemes”. “Some cases of process non-compliance and fraudulent enrolment have been reported against some enrolment agencies in some places”, the Minister said, before citing three such cases. The first episode, perhaps, produced the most amusement. 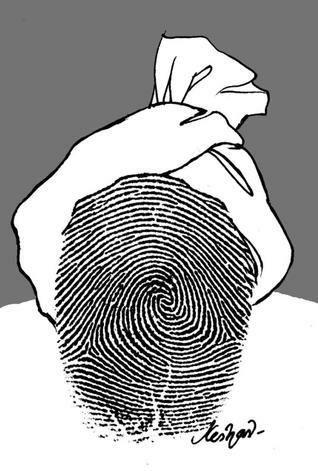 In April 2012, a couple of weeks after the fingerprint authentication report had been placed before the public by the UIDAI, a Telugu TV channel reported from Hyderabad that Kothimeer (dhaniya), s/o Pulav, r/o Mamidikayavuru (Telugu for “raw mango village”) in Anantapur district had been issued a UID number – 4991 1866 5246. The system will not complete the enrolment transaction unless all fields are filled, and so there had to be a photograph – a mobile phone lent its image to Kothimeer. A disenchanted MLA, Payyavula Keshav, reportedly said: “It’s probably the work of a young man who wanted to tell us how routine the process of data collection was in villages. The private agencies entrusted with the job have no understanding of the job in hand.” Although the Minister indicated that the operators involved in the enrolment had been blacklisted, there were attempts by those speaking for the UIDAI to explain it away as an “aberration”. A year later, in April 2013, a reporter with a national daily filed an RTI which elicited a response from the UIDAI which he felt impelled to term “one of the strangest government goof-ups India has seen till date”. The UIDAI admitted to having erred in 14,817 letters with the wrong person’s photograph, 3,858 letters with photographs of “non-humans” (including trees and dogs), 165 acknowledgment slips with photographs of “non-humans” and 653 cases of photograph mismatch on the letter and the slip. This time, it was the printing software that picked up random pictures from the computer. This time it was a “glitch”. It is not that the government has not been aware of the faults in the system and their unreliability. Mr P Chidambaram, as Home Minister, had drawn back from reliance on the project more than once. In November 2011, he said: “The possibility of fake identity profile in the UID data is real,” and asked that the biometric issue too be taken up with immediacy by the Cabinet Committee on the UID. In December 2011, the Parliamentary Standing Committee on Finance recorded the concern that “a security audit of the entire process of UIDAI including enrolment process … the enrolment software, data storage, data management etc. should be conducted by an appropriate agency”. On 20 January 2012, Mr Chidambaram wrote to the Prime Minister upping the ante to say that UIDAI data was not credible. Then, in an inexplicable twist in the tale, a mere week later, there was a “truce” in this “turf war”, and peace was brokered by Dr Montek Singh Ahluwalia. Mr Chidambaram and Mr Nilekani shook hands and divided the turf between them, 50:50! How this resolved the data errors and security concerns is remains unanswered. The errors had begun to manifest early in the process, and a Pune gentleman’s complaint that his UID letter had his wife’s photograph on it was reported on 5 August 2011. In October 2011, Ian Parker, writing for the New Yorker, described how these errors were being averted: “One afternoon … in the offices of the UIDAI …. a young computer operator was watching a monitor on which photographs of Indians were passing before him at the rate of one every two or three seconds. He examined each image and its accompanying text: name, gender, date of birth. His job was to vet: Was this anxious-looking person, in fact, a man? A seventy year old man? He clicked `correct’ or `incorrect’, and scrolled to the next person. That day, he had already inspected more than 5000 photographs, and he had clicked ‘incorrect’ 300 times: men listed as women, children as adults, photographs with two heads in them. Nine other operatives were doing the same.” The perils of outsourcing were on show. The Minister also spoke of an episode where, in April 2012 again, fake identities were enrolled and UID numbers issued to people who were found not to exist. About 870 of them were enrolled as “biometric exceptions”, revealing a route to fraudulent enrolment. The ID of an employee who had been suspended in September 2011 was used to complete the enrolment. The infrastructure major, IL&FS, is being investigated and a case has been booked against the supervisor. A government doctor who acted as “verifier” and gave fake proof of identity and of address in the names of high profile personages in Karnataka was the Minister’s third instance. It is tough to tell who is a genuine enroller and who fraudulent. There are many stories where these come from, telling tales that are now alarmingly familiar. Yet, there is no law, no system of liability, no protection for the resident and no legal responsibility vesting anywhere, not for fraud, or for loss, or for misuse or abuse of the data collected, or for impersonation, or for selling the data even before sending it onwards to the UIDAI, or for anything else; and traditional criminal law can deal with only a small segment of this unfolding problem.